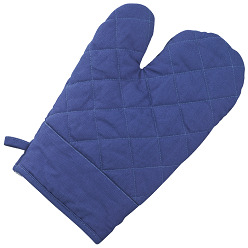 We need an oven mitt for a range of purposes and those who want it and are looking for one, look no further because Giftwrap has an ideal one to offer. 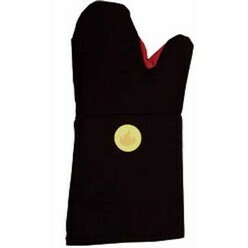 If you want a nice mitt and haven't been able to succeed in your purpose, the oven mitt at Giftwrap makes an excellent choice because it comes with a nice hanging loop that you can use to hang it wherever you like. Moreover, its texture is thick and you can expect it to withstand wear and tear when and where you want. Since it is a thick mitt, you can also expect to use it roughly and it won't budge. Moreover, the glove was tested by packing it in a forced draft oven at 100 degrees for at least 30 minutes so the legitimacy of this mitt is guaranteed. 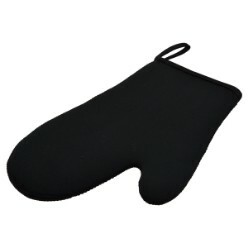 Overall, for those who are looking for a nice oven mitt or two, this one at Giftwrap is an ideal choice. The mitt is protected and can be worn for any purpose, the choice is ultimately and finally yours. When it comes to oven mitts then, this one at Giftwrap is one we cannot forget.